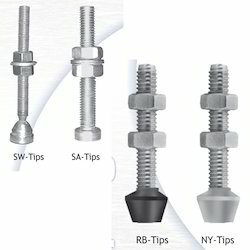 We are the manufacturers and exporters of the Clamping Accessories on the present market. These products undergo several assessments on the quality of the product before finalizing them to be available for clients. These products are highly appreciated because of its efficiency and durability. Our products are also famous for their long life. These products are obtained in the market at impartial prices. Being the eminent manufacturer and exporter of metal components, we offer Toggle Clamp Accessories in a wide range. These products can be customized according to the client’s requirements. These are made using high grade raw materials. We take into account the diverse needs of our international clients. Clients can avail these products in the market at reliable prices. 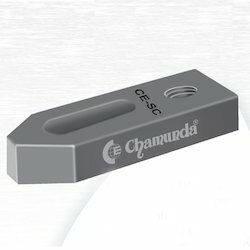 Clients can avail a best quality of Strap Clamp in the market. These are available according to the specifications of the customers. We design and fabricate these products with high grade quality Clamp by employing finest grade basic materials which are obtained from the reliable vendors. These are available in the market with a comprehensive range. With the help of our experts we offer a huge gamut range of PA-6U U Type Hook Bolts which is manufactured using premium quality materials. It is provided by usage of new technology under the supervision of highly qualified professionals and are highly appreciated by our clients. These are available in various specifications and can be customized based on the requirements of the clients. Our range is accessed by our clients at affordable prices in the market. 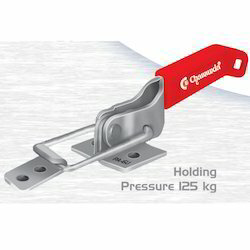 We are the most prominent manufacturers and the suppliers of the Universal Strap Clamp. These devices boost productivity and provide solutions to otherwise difficult Clamping problems. We also design and manufacture these products as per specific customer requirements. These are available in the market to the customers at competitive prices. Useful for job Clamping on ‘T’ Slot Table or Drilling, Milling, Shaping, Boring, Power Press etc. 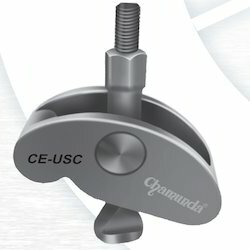 Looking for Clamping Accessories ?